Mr. Erdil was born in Çaykara district of Trabzon province in 1962. He completed his primary education in Dernekpazarı, his secondary and high school education in Rize, his higher education at the Department of Engine of the Faculty of Technical Education of Marmara University, his master degree and doctorate at the Marmara University and his postdoctoral studies in the field of international competition at the “London City University, Business School”. He continued his career, which he started in his university years, as manager and advisor at the various levels in press sector, foreign trade, industry and education sectors (1977-2011). Mr. Erdil was founder and partner of an educational institution “Erdil College” (1997-2014). He served as research associate, PhD. academician, assistant professor, associate professor and professor at the Faculty of Management of Marmara University as fulltime and part time (1987- ). 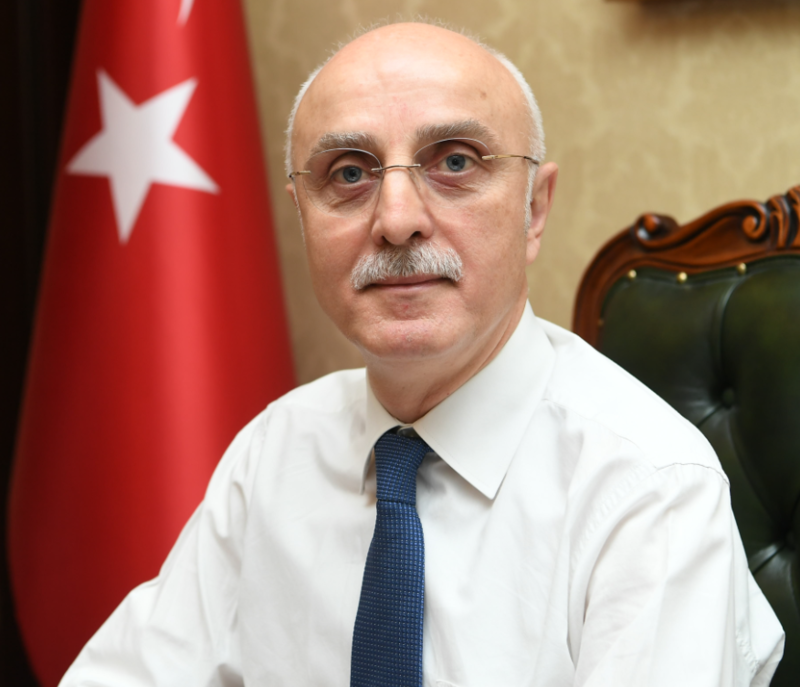 He was assigned as an Advisor to Minister at the Ministry of Labor of the Republic of Turkey (2016-2017), an Advisor to Minister and Deputy Undersecretary at the Ministry of Interior of the Republic of Turkey (2017-2018). He was appointed as Deputy Minister of Interior by the Presidential Decree dated 07.08.2018. He is a member of various associations, foundations and social institutions. Mr. Erdil is married and has two children. He has a good command of English.